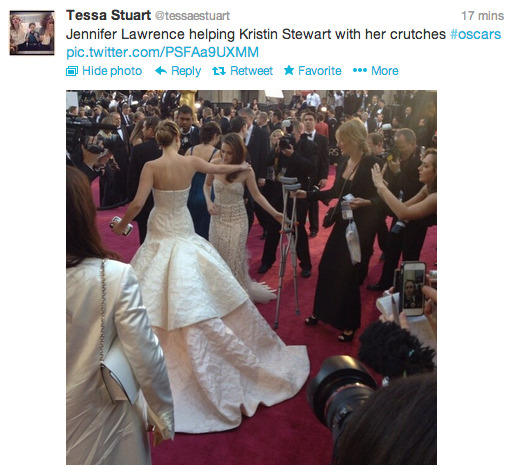 Kristen Stewart showed up to the Oscars on crutches. You wouldn’t know from any of her press photos. She’s been leaving them behind. We’ll update when we hear anything else.